This page shows the latest rights news and features for those working in and with pharma, biotech and healthcare. 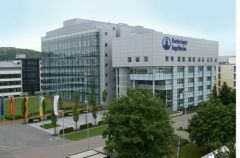 The deal includes an upfront payment of $26m, plus $200m in milestones, for rights to a lymphatic-targeting technology that Boehringer will use alongside one of its own immuno-oncology candidates. In addition, Turkey is insisting on various technology transfer requirements for foreign companies that elect to move production to the country that amount to a violation of intellectual property rights. Approximately 2 fully matching, plus 2,233 partially matching documents found. Healthcare communication agencies need to show that they have the right structure, skills and mindset to partner appropriately and bring value to both pharma clients and patient partners. Putting patients first is undoubtedly ‘the right thing’, but how do you ‘play to win?’. ... And how do you strike the right balance between commercial and shareholder value? For example in Germany, from the time of European licensing, adults and children of 12 and over were able to access Orkambi if they had the right mutations.”. Approximately 0 fully matching, plus 458 partially matching documents found. Steve Skinner (pictured right) joins Streaming Well as the company’s new Creative Director. management team with the right scientific and leadership expertise to move the organisation forward”. Approximately 0 fully matching, plus 235 partially matching documents found. Having the right strategy when working with influencers is critical and it’s great to see our unique approach to identifying and working with influencers delivering impact across campaigns.”. Approximately 0 fully matching, plus 406 partially matching documents found.